So, it has come to that time in my pregnancy when I need to start packing my hospital bag. I have been slowly purchasing items for my hospital bag, however, all of the items still remain in the shopping bags, next to the actual bag that I have decided to call my "hospital bag". I don't know what it is about packing this hospital bag, but I feel as if as soon as I do, she is going to come. Or, maybe quite the opposite, and time will go by really slow. Either way, I am really excited about packing the bag, I just still need to actually pack it. Not only is it time to pack my hospital bag, but it's time to pack a bag for baby girl, as well. I bought her "coming home" outfit while out shopping with my mom and grandma yesterday. This really made my heart happy! 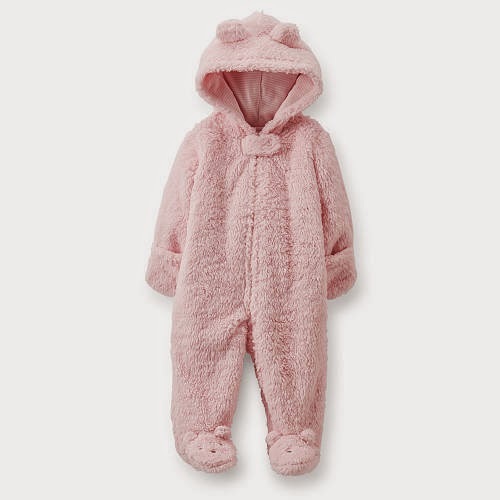 My mom also bought our baby girl a light pink sherpa hooded pram for her to be bundled in when we're ready to take her home! Those are two definite items that will be packed in her bag, as soon as I'm ready to pack, that is. Before I get "started", is there anything out of the norm that you can think of suggesting for me to pack in my hospital bag or the baby bag? Here are a few things I loved having at the hospital: a real towel for that first shower! You make-up bag and some comfy yoga pants and a sweatshirts. We dressed Mason in the little clothes the hospital had and only packed a going home outfit. Another note -- take everything the hospital gives you! clear out the little cart they give you - diapers, creams, clothes, blankets, etc. I heard they have to toss them after a person anyway. Don't forget your cell phone charger and a camera. Also some snacks for both you and your man. What an exciting time! Chapstick and good hand lotion. I couldn't believe how dry my lips were after my first baby! Chapstick is now packed! Thank you, Jalyce! 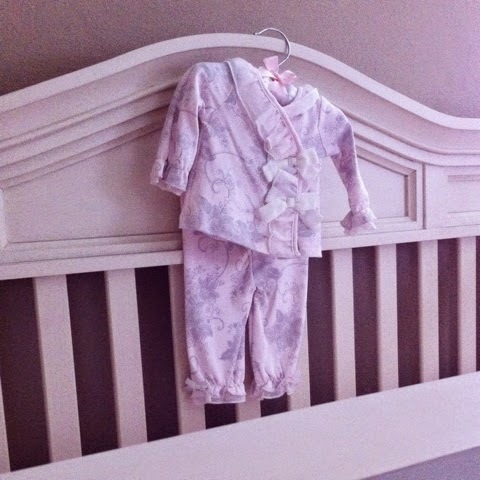 Such an exciting time for you :) I looooove that little pink fuzzy outfit, so adorable!